Low fat diets on their own are not effective for weight loss. You must reduce your calorie or energy intake to lose weight. In my experience, many people who simply follow a low fat diet do not maintain their weight loss in the long run. Many products that are low in fat can be high in sugar and calories. A great example is the Ski D’lite Honey Buzz yoghurt. It has less than 1g of fat per 100g, however it has almost 20g of sugar and more calories than full fat flavoured yoghurt. Studies have shown that people who choose low fat foods often eat larger serves. We take comfort in the idea that ‘50 percent less fat’ means we can eat 50 percent more. This doesn’t work. Another important issue is the potential for less nutrition on low fat diets. Fat contains important vitamins, particularly vitamin D. The fat found in fish and milk is the main source of vitamin D in our diet. Using skim milk, and avoiding all fats can reduce your level of these vitamins. This is a concern considering almost 40 percent of Australian women have mild vitamin D deficiency. There is a type of fat found in milk that may help us lose weight. This is called Trans Palmitoleic Acid, a fat in dairy foods that can help to improve our body’s fat burning potential, and may help to prevent type II diabetes. The Mediterranean diet, which is high in healthy fat had better weight loss over a two year period than a low fat diet, particularly in women. Higher protein diets have also been more effective at promoting weight loss in men, compared with low fat diets. Choosing low fat foods can certainly help with weight loss. However, you must remember that a low fat diet on its own is not effective for weight loss. You must reduce your calorie intake by using smaller portions and increasing your level of physical activity. John Jones is an accredited practising dietitian with a passion to provide practical solutions for creating a healthy lifestyle. 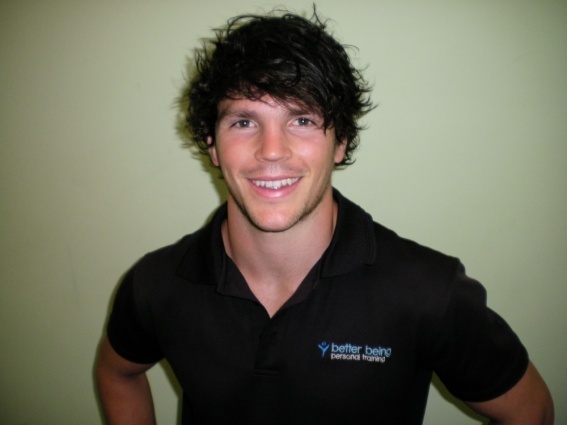 His interest in nutrition began during his pursuit of a rugby league caeer with the Newcastle Knights. However, his focus changed after becoming obese. He holds an MBA and has a special interest in Diabetes, which gives him a wider view of the role nutrition plays in our life. He is the owner of the award winning business Energize Health and is a sought after speaker. John relaxes by spending time with his wife and two goreous children. Modern day society has blown the definition of fat out of proportion so that it is larger than many people’s waistlines. Many individuals now associate fat with foods such as McDonalds, KFC, and Pizza Hut rather than the healthier selections such as nuts, avocado and lean meats. The problem is everyone thinks if they consume foods that contain fat then they believe they will gain weight and put on the excess adipose tissue. This attitude has been brought about by these low fat diets supported by so called celebrities. The truth is fat itself can be very good for you, as long as you consume the right ones. Therefore, the title of low fat meal options should not be “low fat diets,” but “low saturated fat diets”. Saturated fat has harmful effects on the body. It can clog your arteries and lead to high blood pressure, and place extra stress on the heart. However, unsaturated fats are essential for aiding in the transportation of vitamins A, D, E, and K around the body, and aid in cognitive performance. These low fat diets actually starve the body of essential nutrients and unfortunately cause an increase in the consumption of carbohydrates, which is of greater concern. Dieters should keep a closer eye on their carbohydrate consumption rather than their fat, as it has a greater implication on their weight gain. I try not to use the word diet as it should be a lifestyle choice rather than a phase in your life. The best diet that supports the low saturated, low carbohydrate lifestyle is the hunterer and gatherer option, also known as the Paleo meal plan, which simply put, is to consume foods that were available to a cave man. These foods are highly nutritious and eliminate any additives and harmful toxins from getting into your body. Exercise professional, aspiring chef and entrepreneur, Daniel Churchill, is bringing a whole new meaning to the phrase functional training. 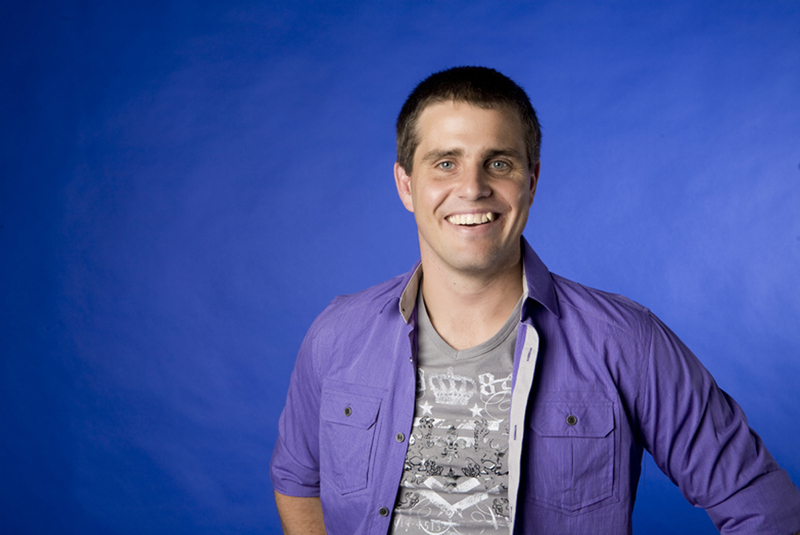 With a Masters in Exercise Science and a certificate in strength and conditioning coaching, Daniel is using his well established knowledge to educate and improve Australia’s health care standard. Born and bred on the Northern Beaches of Sydney Daniel is an essential part of the strength and conditioning team for the Warringah Rugby Club and Manly Warringah Sea Eagles. 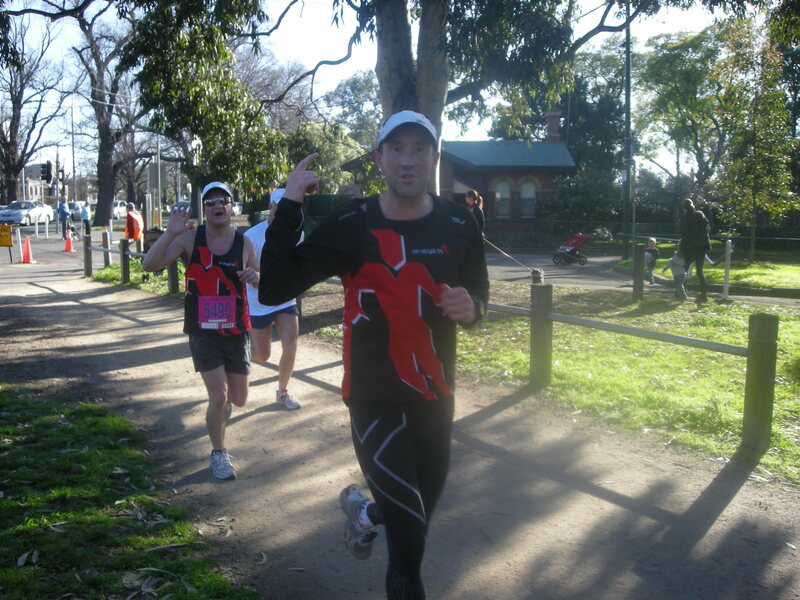 Through Better Being, Australia’s only provider of university qualified fitness trainers, Daniel delivers the best in personal training, group exercise and corporate health to the doorsteps of the residents of Sydney. His philosophy towards health is simple, knowledge is power and he aims to empower everyone about effective exercise, nutrition and mindset solutions. My opinion of Low Fat Diets is very simple. They don’t work and are completely unnatural for sustaining health. Most of the essential vitamins and minerals we need to remain healthy are fat soluble. Meaning they need fat in order to be absorbed into the bloodstream. Also eating fat cannot make you fat unless you eat too much. Eating too many carbohydrates and sugar will very quickly make you fat, as it is converted into glucose to provide the body with energy. Carbohydrates give you quick energy, but it burns very quickly resulting in hunger pains and sweet cravings. Fat is hard to break down into energy meaning you are left feeling full for a longer time. I like to use the analogy of firewood when explaining the difference between carbohydrates and, protein and fats. Carbohydrates are kindling, fats and proteins are like redgum logs. A good fire requires a good ratio of both. A question I would like to leave you with is, “If low fat diets are meant to keep you skinny, then how come the Western world has developed such a huge obesity, diabetic, weight problem since their introduction. Whereas our ancestors from only 100 years ago were eating 15 times more saturated fat than we do today, and they were much skinnier and healthier than we are. Consider the first three letters of ‘diet’ – D I E. This pretty much sums up how I feel about them. As someone who’s lost over 50 kilos without using any plans or programs, and kept it off for ten years, I’m living proof that diets don’t work. Then, of course, there’s also the fact that 96 percent of people who lose weight following a diet, regain it all again, and more, within two years. Diets are the essence of restriction and deprivation. A typical diet tells you to avoid certain foods, which inevitably causes you to want exactly those foods. Even today, nearly ten years after winning my war over weight, if I’m preparing for a photo shoot or TV appearance and decide I won’t eat broad beans or sushi, which bloat me, for two days prior, then those are precisely the foods that I want to eat! Have you ever wondered why weight loss companies only publish data about weight lost over a short period of time? It’s because, 98 percent of the time, diets don’t work in the long term. The weight loss industry spends far more on marketing than on effective product development. It’s the only industry that thrives on failure! Humans like the freedom to make their own decisions, so as soon as this is taken away from us — the eat this, don’t eat that principle — we only put up with it for so long. Then, instead of having a sliver of chocolate cake, we have the whole cake. Anyone who takes their first small step towards a diet is actually making one giant leap towards a yo-yo dieting cycle that can ruin their metabolism and their mindset. If I were trying to invent a new type of torture, starving someone while simultaneously messing with their mind and destroying their body’s ability to function efficiently, this would be a pretty effective method. Your weight is your responsibility and the only person who is an expert in your own life is YOU! Diets are temporary, healthy living lasts forever. Over the years I’ve heard of hundreds of diets and weight loss programs that guarantee results with very little effort. One of the worst diets I’ve ever heard of, and also one of the most popular, is the lemon detox diet. But, there are good diets, one I recommend is the CSIRO Total Wellbeing Diet. The Lemon Detox Program is a liquid diet that lasts for seven to 10 days. The strict version of the program encourages you not to consume solid foods or any other liquids besides water. This diet is pretty much a lemonade solution. You’ll lose weight, but the truth of the matter is that it requires you to restrict your calories so much you’re left feeling tired, lethargic, irritable and starving. You’ll also experience a serious drop in metabolic rate and loss of muscle mass. This is what you can expect when you drop your usual energy intake from around 7,500- 10,000 down to 1,700-2,500 kilojoules. This diet will also make you crave unhealthy foods even more than when you started the program, and you’re likely to put the weight back on, straight away. This diet is obviously one to avoid. I recommend the CSIRO Total Wellbeing Diet to my clients not because it’s one of Dymocks best sellers, but because CSIRO (the Commonwealth Scientific and Industrial Research Organisation) is Australia’s national science agency. It was also recommended to me by Matt O’Neil, one of Australia’s leading nutritionists. I like it because it’s based around real food and lifestyle changes. Not pills or potions, meal replacements or frozen meals. It teaches you how to cook and how to make the changes into a long term dietary plan. It is carbohydrate limited rather than low-carbohydrate. The basic plan is relatively low in energy at about 5500 kilojoules per day or 1300 calories. This diet contains 114 grams of carbohydrate, which is higher than the low 20-60 grams in Atkins, but still less than half the 250-300 grams found in the average Australian diet. The diet has 40 grams of fat, 102 grams of protein and achieves the recommended daily fibre recommendation with 31 gram per day. 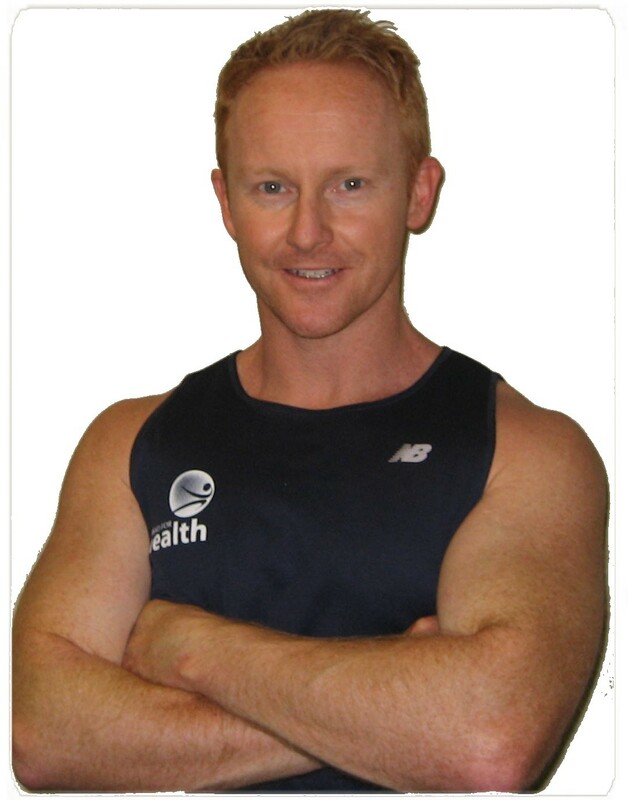 Jayson Lincoln is a Sydney personal trainer and owner of ‘Head For Health’ studio in Randwick, Australia. He’s trained actress Kate Ritchie, footballer Stuart Webb and 60 Minutes journalist Alison Langdon. During his career, he’s helped thousands of people accomplish their health and fitness goals. Jayson specialises in one-on-one training and 12 week body transformations. Most people on low fat diets don’t feel healthy, they believe that avoiding fat will make them healthier. The medical community and the media have done an incredible job convincing the public that fats are bad for us. Fats have been blamed for everything from clogging our arteries to causing cancer. And, fats are definitely the most popular scapegoat for our national health obsession, obesity. Despite the fact that tasteless, fat-free foods are being shoved down the throats of the Australian public, our country keeps getting fatter and fatter. Yet, the TV keeps trying to convince us that fat-free foods make us thin and healthy. So in the futile attempt to do the “right” thing, most people are cutting all the fat out of their diet and wondering why they aren’t losing weight. There are a few reasons for this. Have you ever tried a low fat diet and felt like you were starving to death? Fat actually sends a signal to your brain to tell you when to stop eating. So, if you don’t get enough fat in a meal, you will never feel completely satisfied and will usually end up overeating. Another problem with low fat diets is that low fat means high-carb. And high-carb eventually leads to low blood sugar. When your blood sugar drops, your body goes into a storage mode and your metabolism slows down. Also, when you eat high-carb foods you trigger the release of insulin, which tells your body to store fat. Including good fats with every meal helps to keep your blood sugar stable. This maximizes your metabolism by providing your body with a steady supply of fuel to burn throughout the day. People on low fat diets typically avoid protein foods from animal sources because they contain saturated fats. This is not a very wise choice because the only complete source of protein found in nature comes from animals. Not getting enough protein in your diet can lead to symptoms like weakness, fatigue, dry and brittle hair and nails, and slow wound healing. Often people on low fat diets find it nearly impossible to lose weight or build muscle, no matter what they do. So, as you’ve probably figured out by now, avoiding fat in your diet doesn’t make it magically melt off your body. The truth is that eating fat does not make you fat. In fact, you don’t even have to feel guilty when you eat fat because fat is essential to our health. The human brain is over 65 percent fat, our hormones are made from fat, and so is the outer layer of every single cell in the body. Fat keeps our skin healthy, enhances our immune system, stabilizes our blood sugar and prevents diabetes. Good fats benefit our heart, normalize our blood fats and cholesterol, and even prevents cancer. Don’t be afraid to eat real food. The closer to nature, the better it is for you. In closing the best advice I give to all my clients – is if you read food labels and don’t recognize any of the substances in it then don’t eat it. I have to say that I don’t agree with Low Fat Diets. I know that most people believe and have been bought up or taught to believe that eating fattening foods will make us fat. And to some extent that’s true – if you eat a lot of saturated fats – cakes and biscuits will get you fat! Fat in your diet has its own purpose – to make you feel full and satisfied after a meal. Fats tend to take longer to digest. But be smart, go for the ‘good fats’ – Avocado, Olive Oil, Oily fish, Nuts/Seeds. Your body actually needs these good fats to aid digestion. Having saturated fat in your diet is not good for you – but most of the products high in saturated fat are full of SUGAR, which brings me to my next point. SUGAR makes you FAT, fat doesn’t make you fat. When you are on a Low Fat Diet and you buy all the Low Fat, No Fat, Lite, Extra Lite products, the way they make them taste a bit better is by adding SUGAR. Less Fat = More SUGAR. What I recommend, is having the Full Fat product, but have less of it. Enjoy the bit that you eat, as it will taste SO much better and be better for you in the long run. Cut SUGAR out of your diet and you will lose weight, you will have more energy, be more motivated and feel SO much better. Amanda Ferguson is the owner and founder of Blue Sky Health & Fitness, based in Melbourne, and is a highly experienced and qualified personal trainer who was educated at Australian & European Institutes of Fitness. 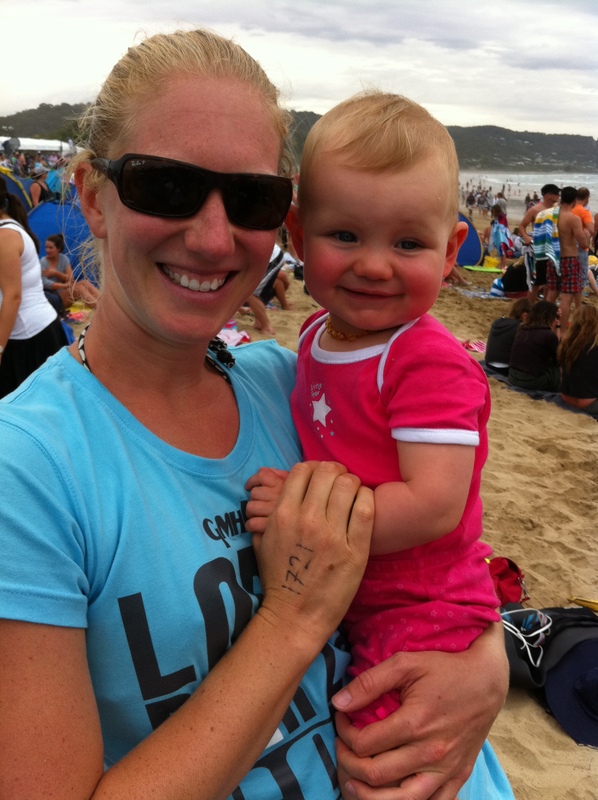 Amanda’s passion and dedication to exercise and health is shown not only in her continual educational pursuit but also in her own training program. The 1980s saw the beginning of the low fat obsession and even the word ‘fat’ sent weight conscious people into panic. But fast forward to 2012 and fat isn’t necessarily a ‘bad’ word anymore. In the early 1990’s, a doctor named Anne Louise Gittleman, was the first to see the down side of a low-fat, high-carbohydrate diet. She began to distinguish between “good” and “bad” fats. Saturated fats in dairy products and trans fats in processed foods like crisps and margarine clog the arteries and contribute to inflammation in the body. The “good” fats, also known as ‘essential fats’ are hormone balancing, control blood clotting and build cell membranes in the brain. Olive oil, avocado oil, omega-3, omega-6 and oils from nuts and seeds nourish the body and prevent the accumulation of cholesterol and triglycerides in our arteries. Ironically, a lack of the good fats can actually lead to just the kind of heart disease dangers that low-fats diets are trying to avoid! Omega-3 fatty acids, found mainly in fish oil, are effective at clearing arteries. By cutting out fats from the diet, taste, texture, smell and satiety of our food diminishes and can lead to eating more refined sugar, which is the real enemy. Simple sugars can lead to weight gain because our cells do not require large amounts of glucose at one time, and the extra sugar is stored as fat. Focus on eating less sugar, including refined grains and use good healthy fats wisely. Yes, they are calorie dense, so maybe spray oil onto you salad not pour, but keep these essential fats in your diet and walk away from the sugar. The pair recently released their first Power Yoga DVD, which is now available on their website or at Amazon. During the 1940s, the low fat diet was promoted by physicians, health media and even the government due to its association with reduced heart disease incidence and weight loss. The biggest irony is that whilst low fat diets dominated the diet culture in the 80s and 90s, our nation’s waistline continued to get bigger and bigger…to a point where it is now estimated that over 60% of Australians are either overweight or obese. Frightening! If you are considering going on a low fat diet, consider these facts about fats and the importance of a well balanced eating plan. Contrary to traditional beliefs, fats don’t just act as a storage and protective function of our organs. Fats are the most concentrated form of energy (9cal/ g), compared to protein and carbs (4 cal/g), however they play a crucial role in the absorption of antioxidants and fat-soluble vitamins (A, D, E and K) as well as act as an important messenger for hormonal regulation and our immune system. The real question is which type of fat should we be eating more of and which should we avoid? The Australian Dietary Guideline states that an acceptable range for total fat intake is 20-35% energy from diet, with saturated (mostly animal fat and dairy) and trans fats together providing no more than 10% of energy intake. Simply put, most of our dietary fats should come from mono and polyunsaturated fats (the good fats like olive, safflower, hempseed, nuts and fish). So who wins the battle of the bulge if you compare the low carb, low fat or Mediterranean diet? One of the largest dietary intervention studies ever undertaken was a 2-year trial by the Massachusetts Medical Society in 2008. This study found that the Mediterranean diet resulted in a 65% greater weight loss than low fat diets, followed by the low carb dieters who lost 40% more weight than low fat dieters. The results of the study further showed that a low carb diet was the most effective in reducing bad cholesterol whereas the Mediterranean diet resulted in beneficial changes to glycemic control in diabetics. In my opinion, the Mediterranean diet has the closest properties of a well ‘balanced’ eating plan as it consists of vegetables, fruits, wholegrains, legumes, essential fats (e.g. olive oil, fish) and occasional lean meats. 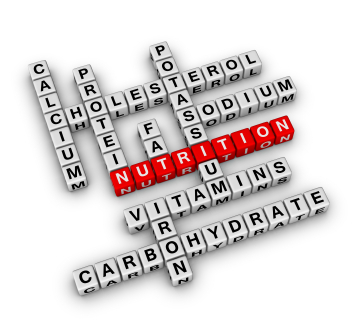 My advice is to educate yourself on good nutrition, read (and understand!) foods labels and always opt for a well-planned balanced meal. And please… throw away those scales – it is more important that you feel looser in your clothes whilst increasing lean muscle tissue. Lose the fat, not necessarily lose the weight! Abide by these simple health principles and open those doors to improving your quality of life and reduce your risk of getting chronic illnesses like diabetes, cancer and heart disease. Never thought about this topic, until I read this article. great insight. Thanks. You write great posts. Excellent site. I am sure this article has touched all the internet people, it’s a really really pleasant article on building up new web site. I think the best diets are the Paleo diet tips and techniques. You can find these at http://twentie.com/paleo. I know it’s good and a lot of people are benefiting from it. Low fat diets are not all some people make them out to be. Thanks for your honesty. This helps a great deal. I would love to see more written on the topic of diets. Thanks. Great site. Exellent article. Makes a great deal of sense. So how do I lose weight and keep it off? I would love to know. Hi James, your question will be answered by our health and fitness experts over the coming months. Look in the Q n A or Opinion section for your answer. What type of foods are the best for good weight loss? Hi John. Your question will be answered in the coming months by the InShape News Columnists. Just look in the Q n A or Opinion section for yuor answer. If I am a big man, over 150 kilograms, then what are the best ways for me to exercise? Hi Elliot. InShape News has a Q n A and Opinion section, your answer will be published in one of these sections over the coming months. Be sure to look for your answer. Weight loss is important for those who have gained a lot of weight, especially those who are ageing. As we age our joints deteriorate and cannot carry as great a load. This is why many people who are overweight find it difficult to move as well as they used to. Losing weight can help, as does exercise. Exercise increases blood flow and will improve muscle tone so that the pain on joints eases. For some the thought of having to shove so much fruits and vegetables into each meal can be a deterrent, especially if this is not how they usually eat. I suggest eating a little at a time and then increasing these levels as your body adjusts. It takes time to learn new habits and break those old ‘bad’ ones. Also don’t forget to exercise, it’s important and will help you develop muscle. The key is to eat well and workout, then you’ll start to notice a difference. Hi everyone, this is my first visit to this website and I must say that it is definately well thought out and planned. I like its style and overall direction. Plus, how informative are these articles for people like me who want and need to lose weight? Brilliant. I will be back. Low Fat Diets – InShape NewsFlash – is brilliant. Excellent goods from you, man. I have understood your stuff previously too and you’re just too wonderful. I actually like what you have said here, really like what you are stating and the way in which you say it. You make it enjoyable and you still take care to keep it wise. I can not wait to read far more from you. This is a wonderful website. This is brilliant InShape News. Hello Web Admin, I noticed that your site has very informative content and is exceptionally well laid out. You might, however, want to consider upgrading your SEO so you get even more traffic to your site. I do not even know how I ended up here, but I thought this article was great. I don’t know who you are but you definitely know how to put a top site together. Hello there! Would you mind if I share your news site with my myspace group? There’s a lot of people that I think would really enjoy your content. Please let me know. Thank you. Wicked site. Cheers. I will be back. Also contrary to well-liked belief, these workouts do not melt away numerous calories. You’ll do A lot better by performing HIIT instruction such as sprints, playing stop and go sports, and other high intensity routines. These work to construct up your metabolism even more. The other really essential side of producing 6 load up ab muscles is your diet plan. You need to consume a wholesome combination of certain meals in order to attain the desired results. The most important food component that you have to include inside your diet plan is proteins and loads of it, so make sure that you are eating eggs, chicken and other lean meat in great quantities. These meals items are really helpful in speeding up the procedure of muscle mass development. Magnificent article, very informative. Great job. I appreciate your helpful feature. Brilliant stuff. First, re-evaluate your goals. Are they realistic? Do you need to adjust the time to obtain to your ideal objective What’s your ultimate objective? What’s an OK goal? What’s healthy? Maybe you need to alter the time frame. That’s OK. An additional week or month or two months might be a much better choice for the goal to obtain to those six pack abs. Real fantastic information can be found on this web site. You also have to do full body weight instruction to burn calories. In the big scheme, your abdominals are little muscles and don’t do a great deal for the metabolism whenever you stimulate them. Do ab exercises by laying on the floor with your heels resting on top of the ball. Then pull the ball in until your knees are bent at close to 90 degrees. Then back again out to complete the rep. These are very efficient for working your legs and core. Your lower ab muscles get a excellent workout too. You have to be extra careful whilst exercising in order to avoid any traumatic condition. You need to do these workouts for almost one hour at least. You need to be normal with these workouts. I just want to mention I am just new to InShape and definitely enjoyed your website. Probably, I will bookmark your site. You amazingly come with fabulous article content. Regards for sharing with us your talent. I hardly comment, but I did some searching and wound up here at Low Fat Diets – InShape NewsFlash. And I do have a question for you if you tend not to mind. Could you list of all of all your social pages like your Facebook page, twitter feed or linkedin profile? Interesting article and thanks for sharing.Thanks for making such a cool place. This article is very satisfactorily written. I will ensure referring a lot of friends to this. This really is what separates the achievers from the 97% who give up. They do not have the correct mindset about getting six pack ab muscles. This plan will teach you really particularly how to train your thoughts too as your entire body This was really my favored component from the plan because it has changed my existence. You need to be extra careful whilst exercising to prevent any traumatic condition. You have to be regular with workouts. I just bookmarked your site so that I can read more of your post next time. Keep up the good work and keep on informing us about new things. I am really happy to read this web site posts which consists of tons of helpful facts, thanks for providing these statistics. Thank you, I have just been looking for info on this topic for a long time and yours is the greatest that I have found out so far. I’m truly enjoying the design and layout of your website. It’s very easy on the eyes which makes it much more pleasant for me to come here and visit more often. Did you hire out a developer to create your theme? Outstanding work! The theme for the InShape News website has been customised and developed by me. Thank you for your comment.